Boston – The Massachusetts Association of Health Underwriters (MassAHU) today announced the appointment of John C. (Jack) Bartley, of Beacon Hill Consulting Group (BHCG) as Legislative Lobbyist for MassAHU. Jack brings decades of public and private sector experience to the role. 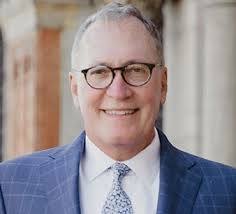 Bartley is the founder of Beacon Hill Consulting Group and served in the House of Representatives from 1987-1991 where he was an active member of the Health Care, Government Regulations, Criminal Justice, and Energy Committees. Prior to elected office, Bartley was a consumer mediator in the Office of the Attorney General and later became Legal Counsel to the Speaker of the House as well as Legal Counsel to the Committee on Government Regulations. Bartley currently represents state, regional, and national clients across a variety of areas including health care, behavioral health, transportation, energy and construction. Bartley has established strong relationships with House and Senate leadership and is also a proud member of Governor Baker’s Finance Committee. The Massachusetts Association of Health Underwriters (MassAHU) is the state chapter of the National Association of Health Underwriters (NAHU) representing health insurance professionals, brokers and consultants who provide health and ancillary insurances for millions of Americans and advocate on behalf of consumers and employers. MassAHU embraces collaboration to increase access to high quality, affordable health care through the private insurance markets and in empowering consumers by promoting total transparency of price and quality care. « Craig Smith Named CIO of PPM America, Inc.